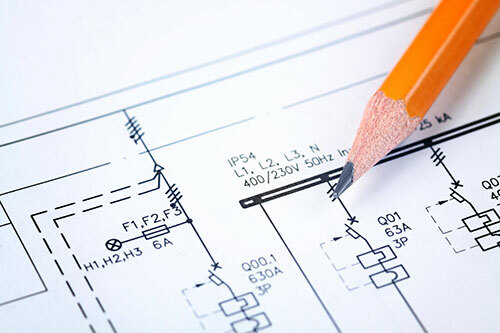 Quigley Electrical Design offers project planning and design services for residential, commercial, industrial and electrical distribution networks including both overhead and underground mains. By drawing on our expertise during the design process, Quigley Electric is able to achieve the most efficient and cost effective project outcomes for our clients, without compromising on safety or quality. Quigley Electric offers project planning and design services for residential, commercial, industrial and electrical distribution networks including both overhead and underground mains. By drawing on our expertise during the design process, Quigley’s is able to achieve the most efficient and cost effective project outcomes for our clients, without compromising on safety or quality. We also provide a range of electrical design and engineering services to developers, consultants, civil contractors, electrical contractors and high voltage customers. Call Quigley Electric at 403 938 4570 for our electrical design services.